Yocan Evolve 2.0 is an all-in-one pod system vaporizer,it comes with 3 types refillable pod options,e-juice pod,oil pod and concentrate pod,Evolve 2.0 can meet all your vaping needs. The Evolve 2.0 also supports voltage adjustment. 10SEC Preheat Function bring you better vaping experience. Magnetic connection makes the Evolve 2.0 easy to use. Would you like to try the Evolve 2.0 ? Yocan Evolve 2.0 All-In-One Pod System Vaporizer, With a no-leakage design and made to work with e-juice's and concentrates. The 2018 Christmas Day is coming,we are here to bring you a Christmas Gift. Come to check out what you can win,enter the Giveaway now,good luck! We are offering a big discount 40% Off.Grab the big discount now,no coupon needed. Best Portable Vaporizer Online Store,welcome you purchase genuine vape pen and vaporizer kit from Yocan vaporizer manufacturer! 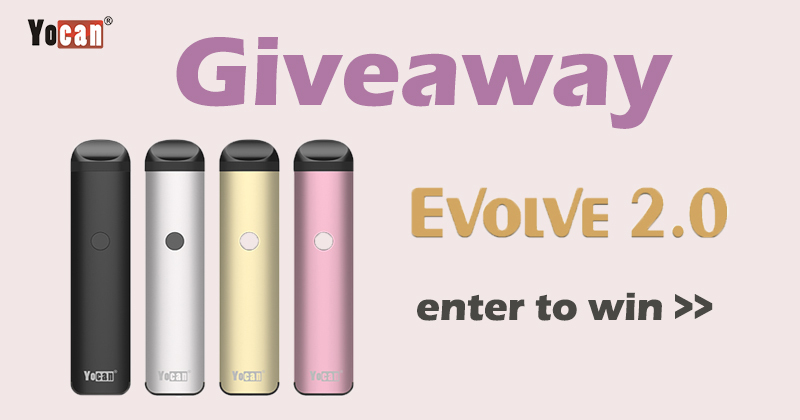 Want to win Yocan Evolve 2.0 ? Enter the giveaway now,3 winners! Yocan Evolve 2.0 is an all-in-one pod system vaporizer,it has 3 pod options,e-juice pod,oil pod and concentrate pod,it can satisfy any of your vaping needs. 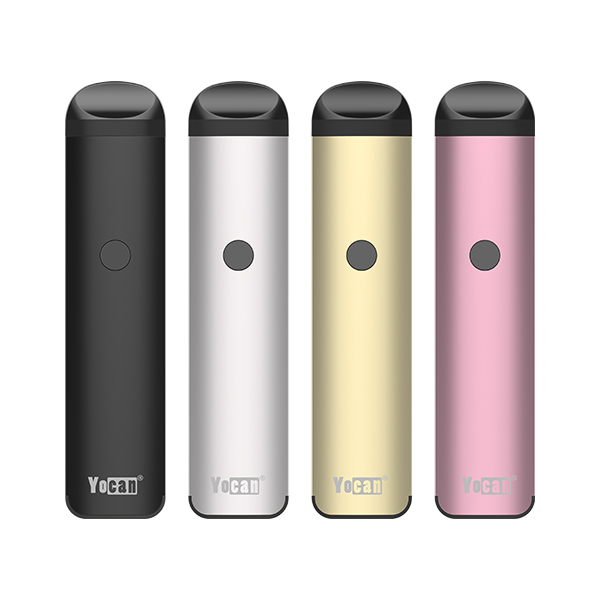 Which Yocan products are you interested in ? Yocan evolve plus xl ? Hive 2.0 ? Have you tried the Yocan UNI ? Yocan UNI is world’s first universal box mod for all kinds of oil atomizers. Since its release,the UNI has received 100% good feedback, if you have tried the UNI,you’ll know nothing can beat the UNI. You don’t have to worry if your atomizer is too tall or too short,the UNI will let you adjust the height of any oil atomizer. You don’t need to worry if your atomizer is match with your box mod,the UNI will let you adjust the atomizer holder to fit any oil atomizer. This compact&portable box mod also features other high performance function. To provide you with an incredible experience,the UNI has a built-in preheat function ,click the power button 2 times rapidly,it will warm up your oils before the first use. power button 3 times rapidly to adjust the voltage level. What’s exciting is that,the UNI comes with an amazing price,only US$24.99 ,you really deserve it. If you have any other question please feel free to contact us,if you don’t know how to use it,please reference to Yocan UNI Review,there are a lot of video reviews in the internet,of course you can directly contact us,we’re always here to serve you. Thanks for your support to Yocan,we’ll try our best to do better and better. Yocan Evolve 2.0 Giveaway only 1 day left,you still have chance to win,try your luck now! To celebrate the Women’s Day ,we are here to offer a big discount Site-Wide 40% OFF ! Thanks for your support to Yocan,Happy Women’s Day. Did you tried the Yocan UNI ? How did you find it? Tiny device with big powerful,right ? We are here to share a review video with you,it’s from Jackey420,just enjoy the vaping time with him. Connect your cartridge with the UNI adapter,then drop it into the UNI battery,click the power button 5 times rapidly to turn it on. The UNI is universal for all kinds of oil atomizers,you can adjust the UNI atomizer holder to fit your cartridge,and move the height button to adjust the height of your atomizer. 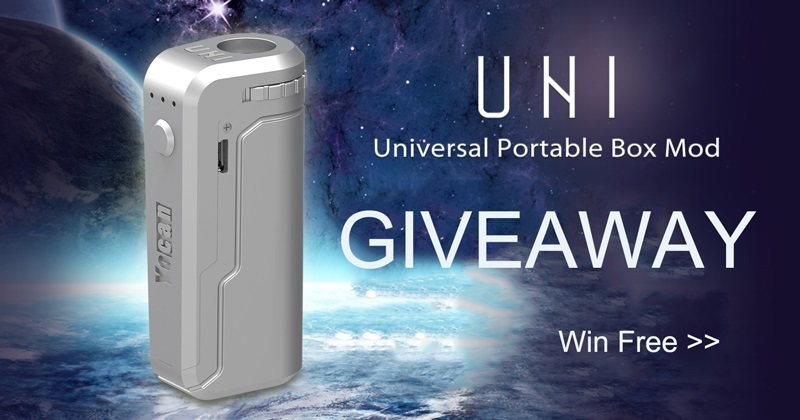 Here we bring you giveaway again,the prize is Yocan UNI,3 winners! What’s your next device in your list ? Yocan UNI ? Yocan Evolve Plus XL ? Now,Yocan official retail shop 30% Off,use the coupon " Yocanonline30 " to enjoy the big discount. Thanks for your support to Yocan,enjoy shopping,enjoy vaping! Is Yocan Evolve Plus your favorite vape pen ? 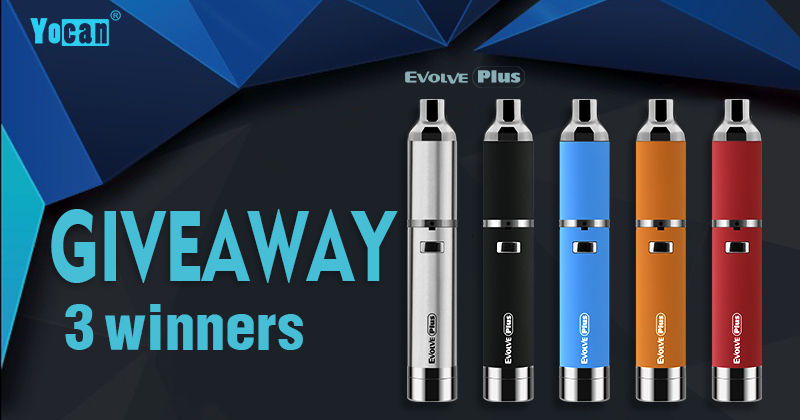 Here we bring you Evolve Plus Giveaway now,3 winners!